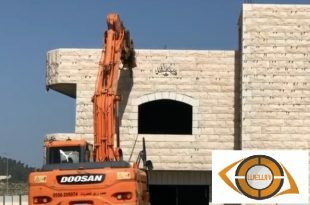 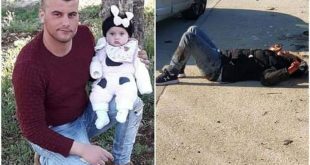 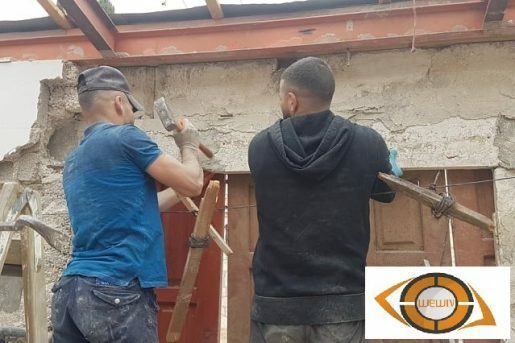 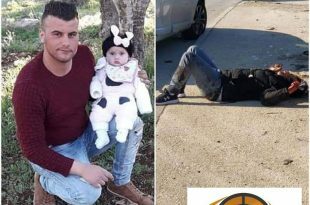 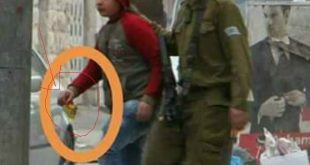 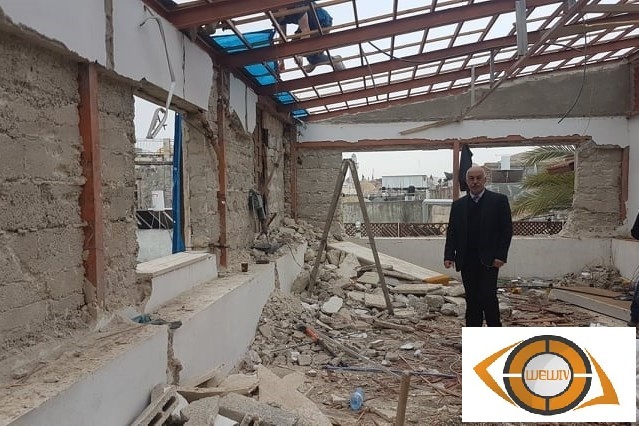 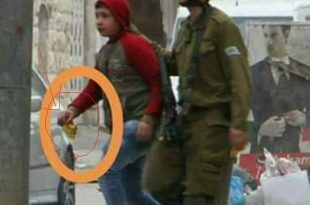 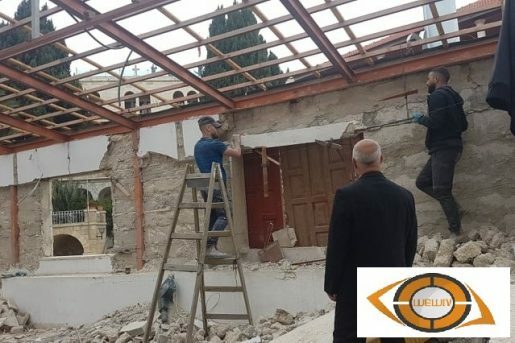 On 06/04/2019, the Israeli occupation municipality enforced the citizen, Nabih al-Bassiti to demolish his house inside the Old City of Jerusalem by his own, under the pretext of building without a permit. 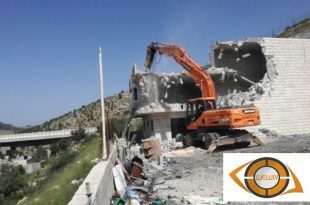 Al-Basti family started demolishing the walls of the house and collecting rubble, using hand demolition tools. 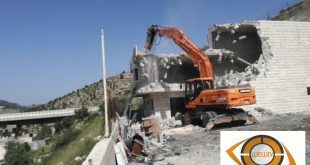 The municipality informed them to carry out the demolition, otherwise its crews will do that and the family will have to pay the costs. 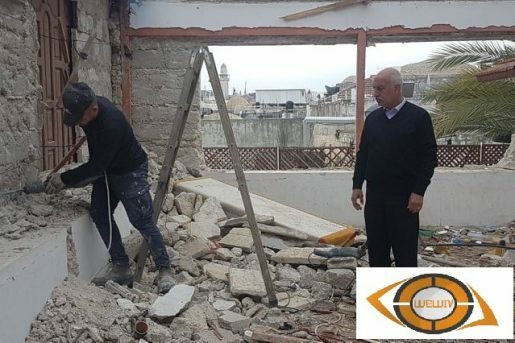 Al-Basti explained that he built his house 20 years ago, and was able to postpone and freeze the decision and they imposed fines on him amounting to 75 thousand shekels.